Kumul is an excellent destination for montane New Guinea birding and is the only bird lodge in New Guinea where Birds of Paradise are amongst the regulars at the lodge feeders, offering fantastic photo opportunities. 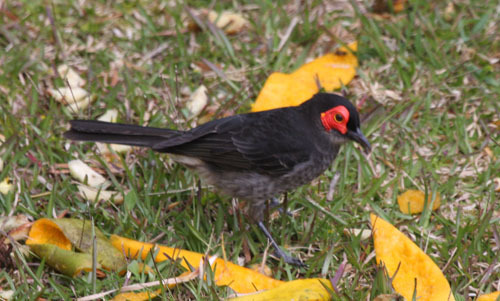 Other regulars at the feeders include Brehm's Tiger Parrot, Smoky Honeyeater, Belford's Melidectes and Island Thrush. Chestnut Forest Rail is occasionally seen beneath the feeder while Crested Berrypecker and White-winged Robin are often seen nearby. 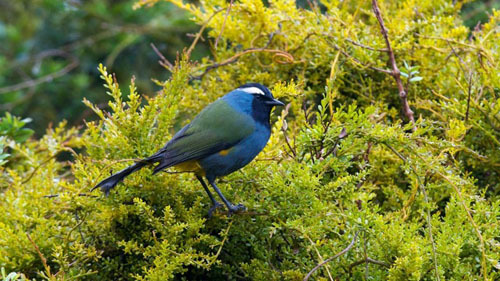 The grounds also offer trails through excellent moss forest where you can see Crested Satinbird, Chestnut Forest Rail, Lesser Melampitta and maybe New Guinea Woodcock if you are lucky. Roadside birding with some of the common montane species such as Yellow-billed Lorikeet, Long-tailed Shrike, Red-collared Myzomela, Island Leaf Warbler, Hooded Mannikin and New Guinea White-eye. There is a possibility of Torrent Flyrobin and with luck Torrentlark on streams in the area. This is a good area for Magnificent Bird of Paradise, Torrent Flyrobin and maybe Yellow-breasted Bowerbird. Famous for its Lesser Bird of Paradise lek in the casuarina grove, it is also a good site for Mountain Myzomela, Ornate Melidectes, Chestnut-breasted Cuckoo and Black-headed Whistler. This fee is in addition to the tour fees and goes direct to the landowners, providing financial incentives to keep the habitat and wildlife safe. 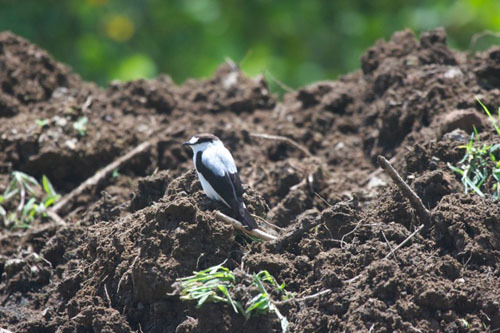 For birding into higher altitude areas, please, do use our "Trekking the Hagen Mountain" offer. The summit of the Hagen Mountain is 3,727 metres / 11,180 feet. Walking up the forest part of the mountain might allow you to see bird and plant life, like orchids, which yet need to be identified by according experts. Tree kangaroos might be spotted and old huge trees, plus a suite of hard to access montane birds including Alpine Pipit, Mountain Robin and the restricted range and seldom seen PNG endemic Long-bearded Melidectes.